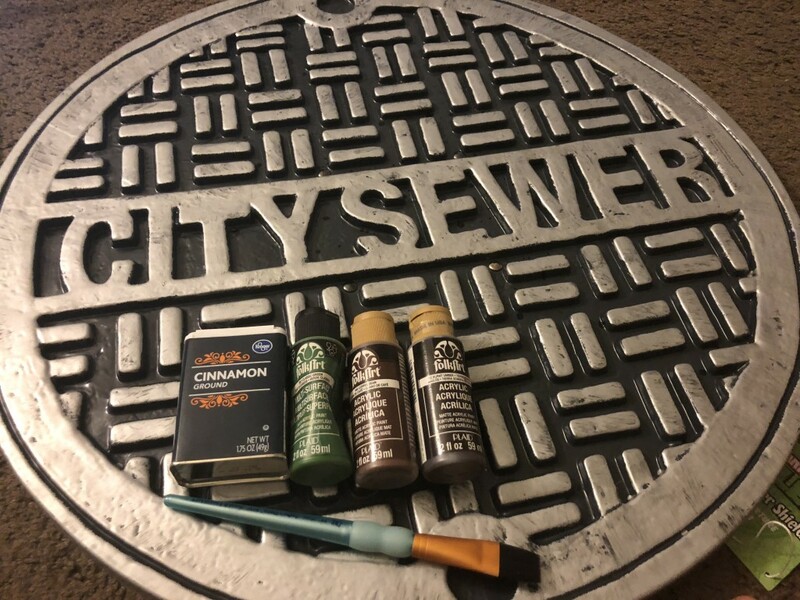 Whether you’re dressing up as a wasteland warrior, a steampunk scientist, or a rusty robot, there’s a high chance your costume may need some rusted metal. You could go find some old metal scraps in the junkyard, but you might want something with less risk of catching Tetanus. With this easy DIY rusty metal technique, you can make any prop look like an old, rusty one! 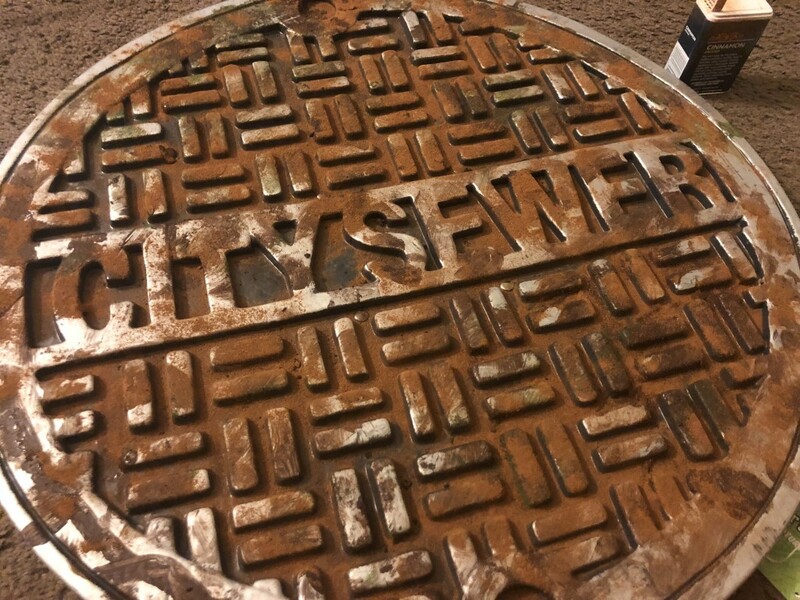 For this tutorial I chose to give our Teenage Mutant Ninja Turtle Sewer Cover Shield a rusty makeover! The first step is to dirty up the prop a little. I used Folk Art acrylic paint in “Burnt Umber” and ended up not using the lighter brown paint at all. 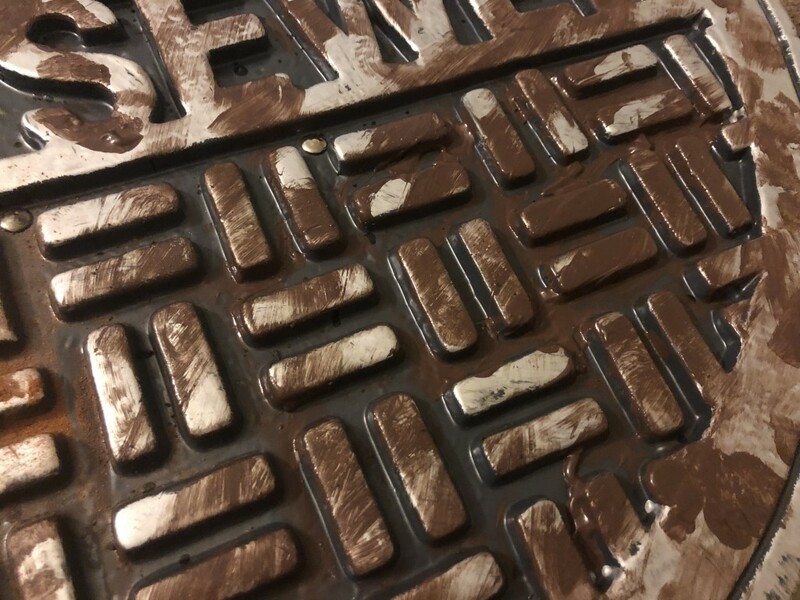 Paint the area of the prop you want rusted with random streaks of paint. It’s OK to go crazy with your paint brush for this step! 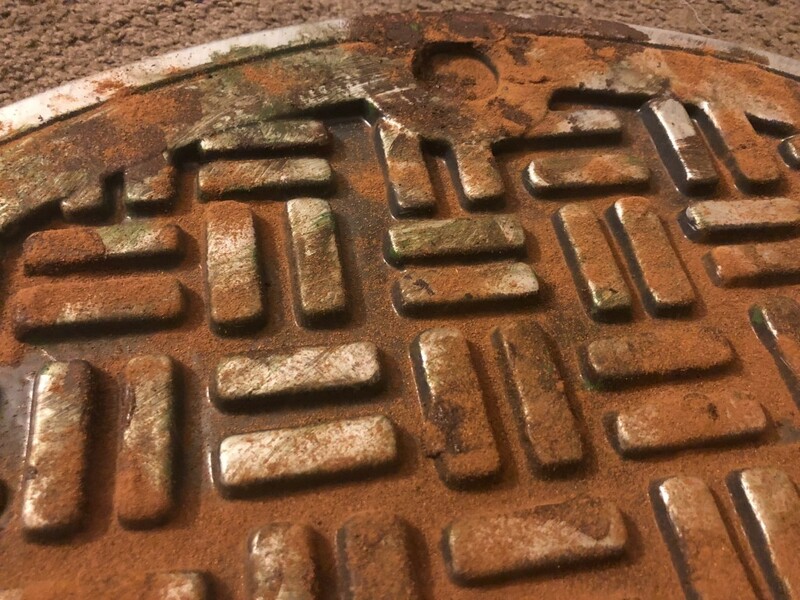 Don’t be afraid to use thick layers of paint in a few areas to mimic rusty build up. If you decide to add some green to your rust, do so sparingly. I only added a few green streaks to mine. However if you want your prop to look like it has rusted from sea water, More green is better! Be sure to use a teal/aquamarine green similar to the Statue of Liberty! Sprinkle ground cinnamon all over the painted areas. In the thicker painted areas, use your finger to press cinnamon into the paint. This will allow you to really pack it in and make a thick rusty layer. After the paint has dried, shake the excess cinnamon off of the prop. Seal the prop with Mod Podge or your sealant of choice to keep the cinnamon from falling off. Now you’re ready to protect yourself in a post-apocalyptic wasteland!